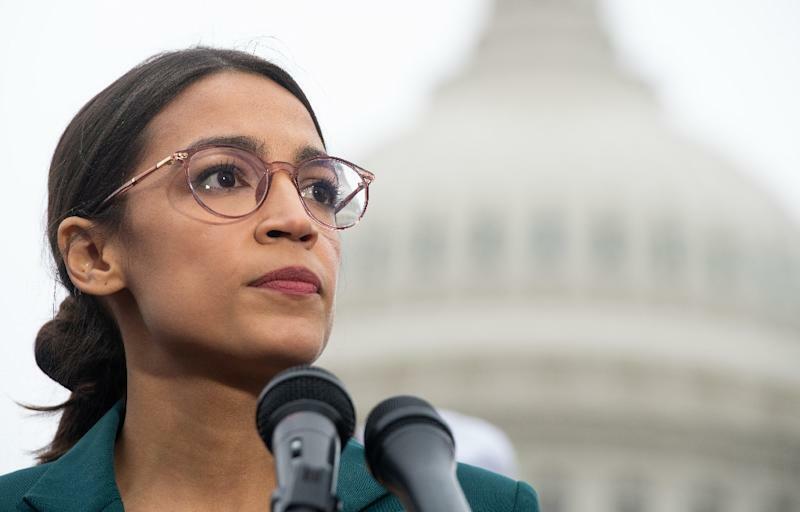 Washington (AFP) - A councilman who called new Democratic US Representative Alexandria Ocasio-Cortez a "bimbo" on Twitter has unleashed a firestorm of criticism. Scott Dunn of Richardson, Texas also slammed Ocasio-Cortez, a social media savvy star of the Democratic Party's left wing, saying she had "nothing between her ear (sic)" for criticizing President Donald Trump's State of the Union speech. "The words I used were offensive," Dunn wrote. "I am responsible for my own words and actions. I apologize to anyone who finds what I said offensive." "Richardson's values are best upheld when we engage in civic discourse that is civil in tone, respectful of others and designed to produce constructive outcomes for the betterment of our community," Voelker said in a statement. Her social media know-how could benefit Democrats trying to take on the policies of another prolific Twitter user -- President Donald Trump. "AOC" regularly posts on Instagram, too, sharing "stories" about her new life on Capitol Hill with her 1.8 million followers.